Throughout our 50 year history Remke has invented connectivity solutions to meet our customers’ greatest needs. Our family of Lighting Connectors delivers solutions to the manufacturers of indoor & outdoor commercial, industrial, architectural and institutional electric light fixtures. The family of American-Made Remke products that connect power to your lighting fixture includes strain relief cord connectors, mini & micro-size molded connectors, strain relief wire mesh grips, ventilation plugs, dome-style cable glands, stainless steel liquidtight connectors and custom products. Browse our selection of in-stock lighting connectors, or contact Remke to learn about manufacturing customized connectors. Remke Strain Relief Cable Connectors and Cord Grips are UL Listed & CSA Certified for use both indoors and outdoors. 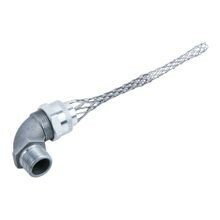 They are available with & without stainless steel wire mesh and feature an optional, embedded Viton® O-Ring to ensure a watertight and corrosion-resistant seal. Mini-Link Molded Cable Connectors meet or exceed UL, CSA, NEMA, SAE, IEC and are available in TPE, Rubber and Plastic. TPE (or thermoplastic elastomer) is ideally suited for environments with chemicals and corrosives, while plastic is suitable for use in general industrial applications. All-rubber plugs are excellent for use where flexibility and resistance to stress/abuse/or harsh environments through a broad temperature range is important. Micro-Link Molded Connectors offer NEMA 6P and IP 68 protection and have been designed for low amperage AC or DC control systems compatible with the pin configurations used by major U.S. and European sensor manufacturers. All Micro-Link connectors are available in four different materials - PVC, PUR, TPE and Rubber – to protect against numerous environmental and temperature concerns. In stock & ready to ship, Remke Strain Relief Wire Mesh Grips are designed for indoor use in dry locations and help control arc-of-bend with strain distributed over the length of the grip instead of at a single point. Remke Ventilation Plugs in polyamide or stainless steel reduce the adverse affects of humidity in the environment by preventing pressure increase inside the enclosure & limiting temperature increase through air circulation. 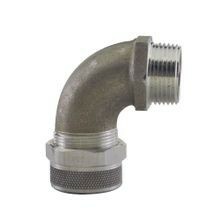 Rated IP 68, Dome Cap Cable Glands exceed NEMA 6 specifications. 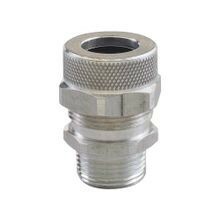 The family of dome-style products includes standard nylon connectors, a spiral-flex extended connector, nickel-plated brass connectors, EMC cable glands, a 90 degree snap elbow, ventilation plugs and accessories like O-rings & locknuts. 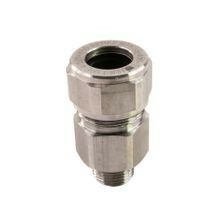 Rated IP 68 and NEMA 4X, Remke Stainless Steel Liquidtight Connectors are UL Listed & CSA Certified. They offer all the corrosion resistance you need AND the strength of stainless steel for the highest levels of endurance in wet or dry locations against dust, dirt, oil, water, chemicals and other corrosive elements.